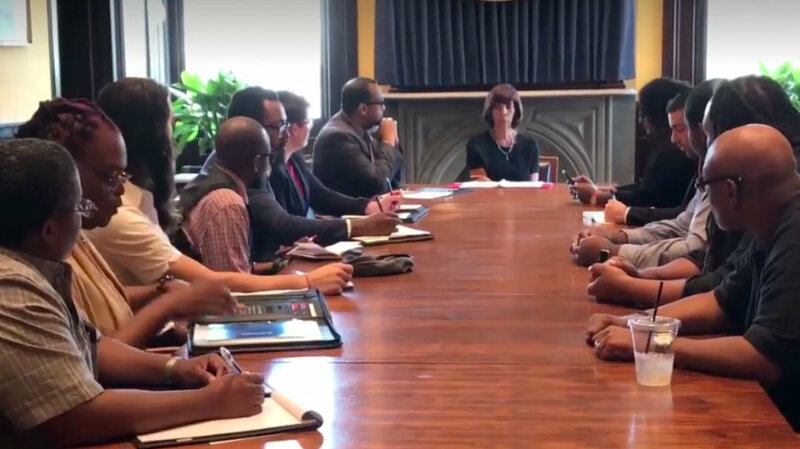 When leaders of the city’s LGBT community met with Mayor Catherine Pugh in late August they were pleased to find she was agreeing to one of their requests – that she set up an LGBT Commission, something the city hasn’t had since the Sheila Dixon Administration. Pugh was not only agreeing to their other request – that she hire a full-time City Hall LGBT liaison – but had already named someone for the job: Samantha Smith. Just a few days earlier Smith, one of the homeless people participating in last month’s Tent City protest, told the Brew that the mayor had hired her during negotiations over the 10-day encampment. 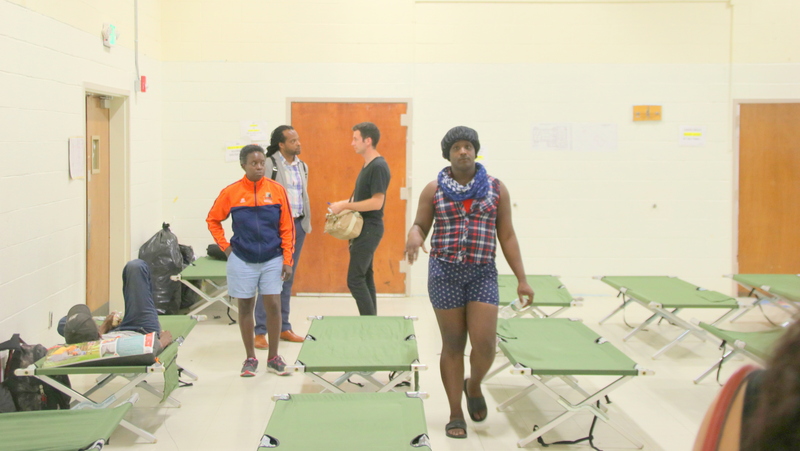 Smith said her job was to be in charge of the transitional facility where the protesters had agreed to move. Smith wasn’t well known to the city’s tight-knit community of lesbian, gay bisexual and transgender advocates and some were taken aback that she was to be their voice at City Hall. “Basic questions about the qualifications of the Mayor’s new LGBT liaison and the Advisory Committee remain unanswered,” the Pride Foundation of Maryland said in a statement last week. City officials at the Mayor’s Office of Human Services were not making Smith available for an interview last week or answering questions about her position running the facility in the former William Pinderhughes Elementary School at 1200 North Fremont Avenue. The Brew left messages and has not been able to reach Smith and she was not available at noon on Thursday when a reporter stopped by the Pinderhughes building. Anthony McCarthy, the mayor’s director of public affairs, confirmed that Pugh told the group at the August 31 meeting in City Hall that she had given the liaison job to Smith. But since then, McCarthy said, Smith “has been thinking more about it” and indicated she might have her hands full with the position at Pinderhughes. No decision has been made yet about the size of the body, McCarthy said. He said that the mayor hopes to have an announcement about plans for the new commission soon. “She hopes to have the members named by the end of the year,” McCarthy said. That’s not soon enough for Brian Gaither, a Pride Foundation of Maryland board member who noted that LGBT leaders approached Pugh soon after she won the primary in April 2016. He named a number of issues of concern including responding to hate crimes and bias incidents against LGBT individuals, supporting LGBT youth in city schools and ensuring that the Baltimore Police Department addresses concerns about the treatment of LGBT citizens identified in the Justice Department report.